I call it Super Daimyo. It's like a kind of cross between Shogun Total War and Advance Wars. Below those are the road and bridge tiles, across are the shore, shoal, water and reef tiles, all are very low cover except for the reef, which is low cover. Below the water tiles is just some junk. You can see I want to have classic Japanese-movie-style blood in the combat scenes. Units can be hired at varying ranks, the higher the rank, the more expensive. Lower rank units can gain rank through winning in combat or achieving special actions (such as a Shinobi sabotaging a Dojo, or a Monk capturing a village). That's the basic gist of it so far. I was forced to introduce some colours just to indicate what team buildings and units belonged to. To that end I followed a kind of Super Game Boy style, where tones can be replaced with colours, maintaining a 4-colour per sprite/tile restriction. Love the color palette, really sets the tone for your setting extremely well! The best thing so far are those houses, you really get across the japanese architecture there, well done. The only complaint I have so far is the shoreline - I'd try to break it up a bit with a little bit going in our out of the general line. I love mockups that emphasize readability for gameplay like this. I only have a couple of crits. 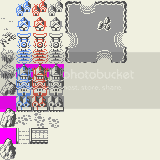 - The color schemes for the buildings seem much more appropriate for unit sprites. The way they are now almost look like sprites themselves and would likely clash when actual sprites appear. - I think you should have an extra mountain variant that takes up more space in the tile. I love the mountain designs the way they are now, but they still don't quite have that "oomph" that makes them seem bigger/more difficult than trees so I think a 3rd tile that features an even bigger variant could help. Understandable, though I want to preserve the grid quite a bit. The shoreline tiles count as water that boats can travese, so I don't want to impose too much land on them. But I will have a play with it and see if I can work some more curves in there. Good points! I will fiddle with the mountains I've got. I'll probable extend the tall variation into 2 tiles and just raise the smaller one to be a similar height to the current large variation. As for the buildings... hmm kind of tricky. I understand what you mean, I just struggle to think of a way to remedy it, besides adding more colours... which I don't want to do. All the sprites will be animated, which I think will help a lot to really make them obvious on the screen. 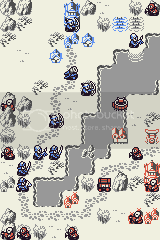 Added overworld sprites for Yari, Yumi, Katana, Shinobi and Monk unit types. Nevermind the cloaked Shinobi variant, I was just trying something. Field and Bamboo Forest terrain types. Still WIP. I take back my color critique, now that I've seen the actual sprites they show up decently enough. - Winter feels counter-intuitive to warfare. What I mean is, in this game, you would have Shinobi hiding in fields and forests for weeks, observing the enemy and slowly moving into their territory. You have lots of field movement in general, actually, and the idea of them all trotting around in the freezing snow day in day out just clashes conceptually, in my mind. Whereas if the weather is fairer, it feels more sensible. - Reduction in scenic variety. 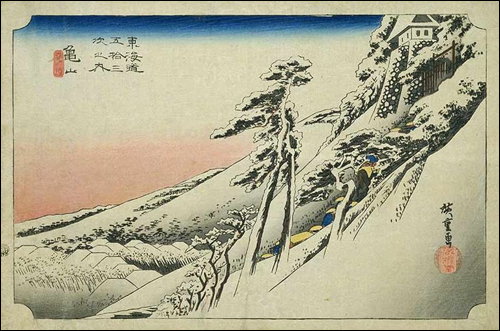 Cherry blossoms become bare, fields become drifts, mountains... well kind of stay the same except MOAR snow, all the settlements are blanketted in snow, etc. Consider each of these settings in say, a spring setting. Flowing fields of grass, Flowering blossoms, Shady forests blanketted in dead leaves, etc. It just feels more interesting to me having that higher range of textures. 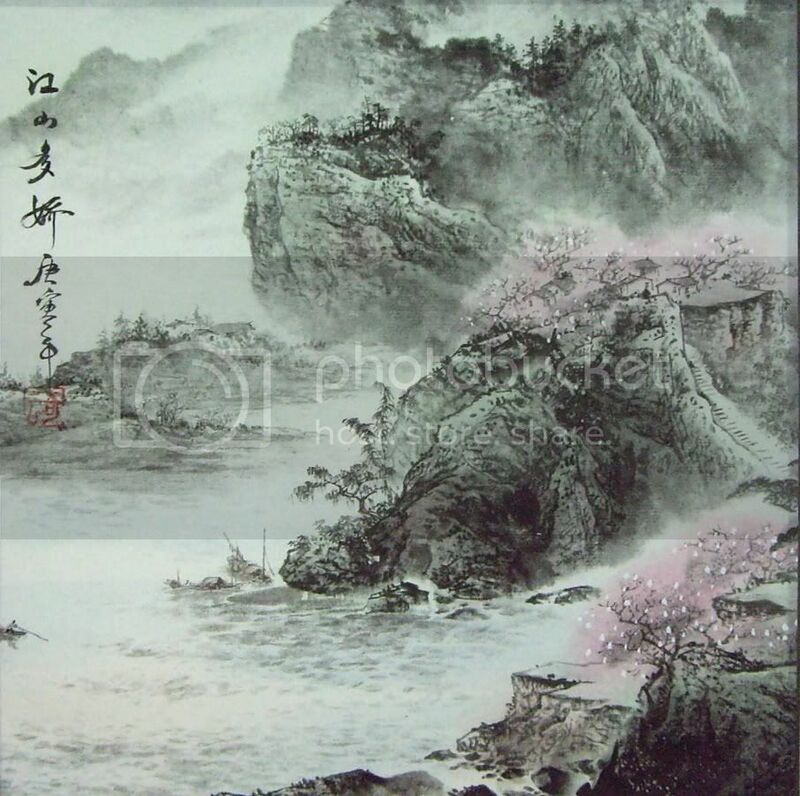 Similar palette, but generally temperate in setting. 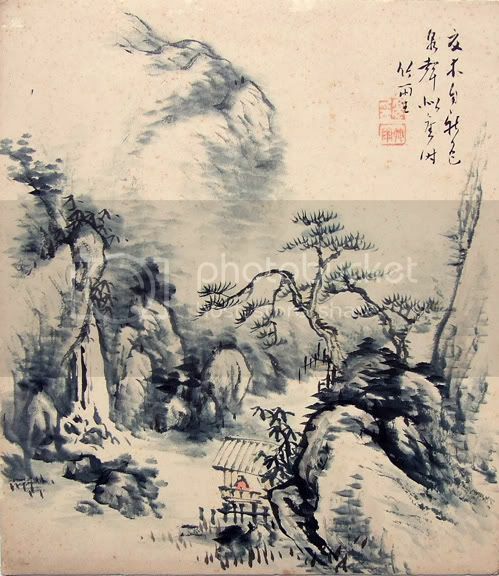 Your suggestion prompted me to do a bit of research into Japanese climate and I realised I'm drawing tropical bamboo instead of colder climate bamboo for my forest scene. Shall remedy that! Are you going to add more units? you could add japanese turtle warships, those things are massive sndsamurais (which I suppose you've already thought of). The units gain ranks as they battle or you can purchase them at higher rank for extra cost. For Dojo units the lowest rank is Ashigaru, the highest is Samurai. Katana and Naginata Cavalry have a minimum rank of Ronin. Shrine agents have their own rank titles, but their ranks function the same as Dojo units, it's just different names for the ranks to fit their role better. So it's possible to have Yumi Samurai, or Yari Samurai for example, in addition to Katana Samurai. With each rank increase you may select a perk that the unit gains. Perks are specific to the type of unit, so Yumi have different perk options to Katana, Katana to Shinobi and so forth. Yes I would love to add the fortress ships, as well as barge ships, transports and some kind of light scout boat. Outside of that, there are a few other land units I plan to add. One is a mortar style unit, fulfilling a long-range seige artillery role. Another is the merchant wagon, which is another Shrine agent unit, it acts as a land transport that can secretly dismount Shinobi and Monks as it travels, and "trade" with enemy towns, whereby it steals the opponent players money and gives it to you if you can return the wagon to a friendly village. I'm still tossing up whether or not I want to add western units that can be trained from an Embassy style building. These would include Arquebus infantry, Howitzers and maybe some kind of Frigate. I do like the idea of keeping it more insular, having just traditional Japanese warfare units, though. As for the mountains, yes I am going to rework them, see if I can bring them a little closer to the references I linked in my previous post. - Cannon Bune: Medium ship that cannot be boarded. Very weak against Kobaya, but deals lots of damage to all Bune ships. 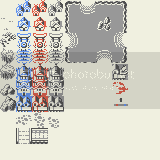 Also added the Caravan unit, which is built at the Shrine, and the Naginata Cavalry and Mortar, which are built at the Dojo. 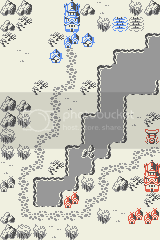 Greyed out squares are fog of war. Blue squares show tiles the selected unit can move to. 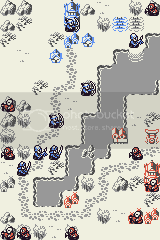 Red squares show enemies that the selected unit can attack. The top-left panel shows current amount of money, which commander character you are using, your team colour and how much special ability power you have built up. I've currently got the blue commander as a ninja character, but in this scenario red would be the ninja character and blue would likely be some kind of Samurai general type character. I just felt like drawing the ninja first. The bottom-right panel shows information about whatever tile/unit your cursor is over. Currently a Yumi unit is selected. It displays the unit name, what rank it is (Ronin), what tile it is standing on, how much defense that tile gives it (2 stars), how much health they have (10 hearts) and what Perks the unit has gained. Perks are dark if the unit doesn't have them and bright if they do. The Yumi selected has the Longshot perk, which gives it +1 range. The other two perks, Lightning Reflexes and Sharpshot it currently doesn't have. Wow, just popped in to say I love the direction this has taken, you have a really fun-looking mockup so far! Your GUI updates seem good as well, quite clear and concise. The bar for the "special power" - does the actual power depend on which commander you've chosen? If so, why not make the actual commander's bar be a visible cue for how much power he has? like a loading bar, color a fraction of the icon in blue?